Concerns about global resources running dry are a reality that must be taken seriously. It is thus essential for each individual to make efforts in order to reduce consumption and eliminate or at least minimize the waste of energy. But how do you do that when you’ve invested so much time and money into building your very own smart home that includes a lot of energy-eating devices? The secret is to choose products that will help you consume less energy and protect the environment, with the extra benefit that your energy bill will also be significantly smaller. The Nest Thermostat is such a product. The original version launched in 2012 was an instant hit and it continues to impress to this day. It has been improved with a feature that detects when you’re home or not and automatically switches between Home and Away Mode in order to optimize energy consumption and reduce waste. When you buy a thermostat for your home you expect to receive a device that will help you maintain the right temperature at all times and in every room according to your family’s preferences. But when you buy the Nest Learning thermostat, prepare yourself to receive more than a simple temperature setter. 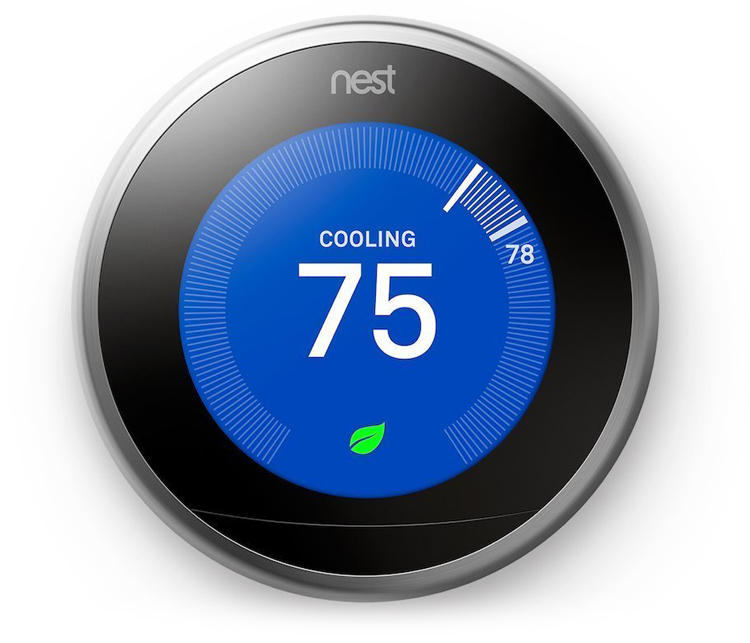 Nest’s star thermostat is an innovative gadget that does much more that just heat up or cool down your residence like any regular thermostat; it learns and remembers your preferences so after a week of putting data together the Nest Learning thermostat will automatically set the temperature exactly as you like it. If you have this device installed you can enjoy the perfect ambiance without doing anything at all. You won’t even have to touch it, unless you want to make new settings, which is quick and simple. The Nest knows when you arrive home and makes sure you feel comfortable and welcomed. It’s usually us that need to adjust to the situations we find ourselves into or to the people around us. It’s not often that we can be exactly the way we want to be and do only the things we enjoy. This is what makes the Nest Thermostat 3rd generation so special and valuable. Forget about setting the temperature manually several times a day; the latest version of the Nest studies your preferences for a week and afterwards it automatically adjusts the temperature in every room individually, in accordance with your lifestyle. If you spend the weekends away for example, the device will automatically switch to Away mode so that it doesn’t waste energy. And if your kids come back from school at noon while you return from work at 8, the thermostat will heat up only the children’s room by noon, while the rest of your house will be ready by the time you return. No point in wasting resources for empty rooms, is there? Check Out The Best Selling Smart Home Devices Now! Get your FREE copy of the Smart Home Guide by signing up for our newsletter. 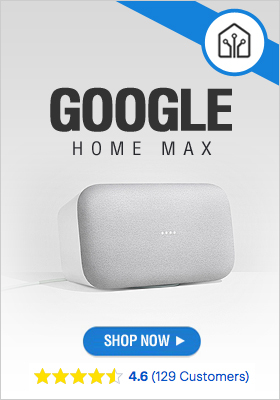 The Smart Home Guide is a 45 page ebook created here at GetSmartHomeDevices.com to provide you an overview of the best selling smart home devices from the most popular smart home brands. Think of it as an introduction to home automation that you can save to reference smart home solutions such as lighting, thermostats, security, and more. Alexa, Google Assistant, And Now HomeKit Compatible! IKEA’s Smart Plugs Have Covered Their Bases And Are Ready For Your Smart Home. What’s Holding Consumers Back From “Buying Into” Smart Major Appliances? In Just A Few Years It Is Projected That Half Of U.S. Will Have Smart Speakers. And They Will Serve As The Center Of Our Connected Life. Copyright © 2016 GetSmartHomeDevices.com. All rights reserved. Learn about the top 12 smart devices to build a smarter home!